Writing proposals is an integral part of the lead generation process that holds a great significance for the success of The Global Associates Lead Generation Companies. A proposal is prepared by lead generation companies so that the client gets to know the salient features of the product or service being offered by them. The sales people usually adopt two diametrically opposite approaches to customize their proposals, both having certain advantages and disadvantages. Let us discuss these two approaches here. Most Lead generation companies adopt a high-energy approach that involves firing proposals in all directions without any specific targets. This brings you quantity, but you tend to miss most of these opportunities since these proposals are not customized according to a customer’s needs. This is called a machine gun approach, you pump in countless fresh leads into your sales pipeline and then write proposals in a mad rush to meet all the deadlines. This approach often proves counterproductive for the organization in the absence of a clear-cut strategy and direction. Preparing a sales proposal is all about the customer, not about you. If you are writing proposals in bulk without doing a thorough research to identify the specific needs and pain points of the customer, they are not going to like it. Frame a set of pointed questions to encourage the client to come up with their issues and requirements. This approach is time consuming, no doubt, but it will help you customize your solutions to suit the customer’s needs. The chances are high that this will go well with them and you will be awarded the deal. This approach is also called the rifle approach, that is always best suited if you want to focus on specific customers and form long-lasting business relationships. 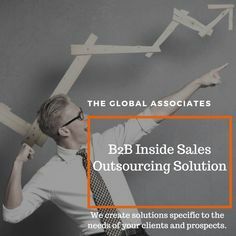 Targeting specific customers and working hard to customize the proposals according to their issues and needs is the best way forward for lead generation companies. A rifle approach is always more suited than a machine gun approach for the purpose.